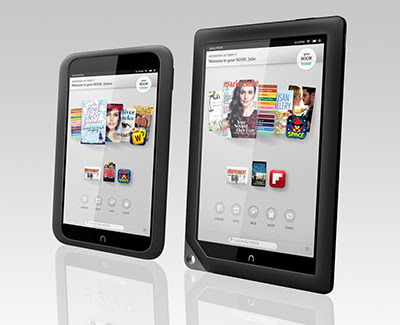 Hey Ya - Booker T.
Register Hardware has published a review of Barnes & Noble's latest tablets. "The specs tell part of the story: the 7in Nook HD sports a screen resolution of 1440 x 900 - the same as my 15in MacBook Pro, for example. That, says B&N, is the highest resolution yet found on a 7in tablet." "It's certainly knocks the socks off my Nexus 7's 1280 x 800 display. Text is crisper, obscuring the pixellation I can see on the Nexus, especially on italics. 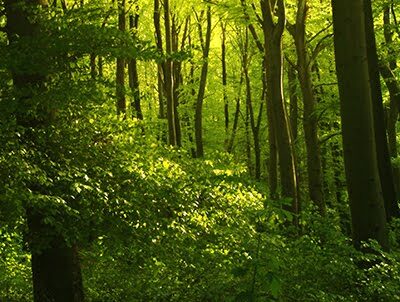 It's also brighter and colours are much more vivid. It's a gorgeous display – the best I've seen on a seven-incher." "The 9in Nook HD+ has a more standard 1920 x 1080 pixel array, close enough B&N claimed, to the iPad's 2048 x 1536 to make no odds. I'm not sure I agree, but I have to say the HD+ display is a worthy alternative to it." "The HD will come with a choice of 8GB or 16GB of on-board storage. The HD+ will have 16GB or 32GB. Users wanting more space can slot in a Micro SD card. The 8GB and 16GB HDs will retail for £159 and £189, respectively, both very competitive prices, matching the Kindle Fire HD and Nexus 7, both of which present lesser screens." "The HD+ will come in a £229 for the 16GB model and £269 for the 32GB version. That's £170 and £210 less than the equivalent iPad 3 for a tablet with a retina-level display that's only eight per cent smaller in the diagonal. As a comic buff, reading digital comics on the Nook was no less a joy than it is on the iPad's slightly larger screen. It's the first large-format tablet other than Apple's I'd consider buying." The Box app has just been updated for compatibility with the iPhone 5 and to celebrate, Box is offering some excellent cloud storage deals for new users. When you download and sign in to the free app, you will get the 10 GB + Sync Box service for free. If you are a new user, that's yours for free, and if you're an existing user with a 5 GB account, you'll get another 5 GB for free as well. Box not only allows you to save you files on its cloud service, but also lets you make use of the Box API, with lots of different services for various document types and apps. 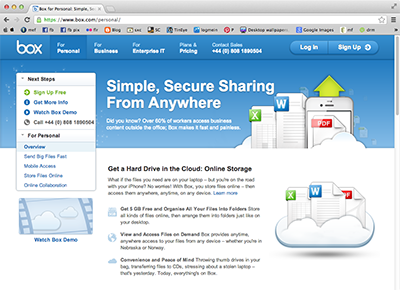 And Box Sync allows you to connect all your documents up together to your desktop computers, so you can access and use them from anywhere. This offer is available until 31 October 2012. British newcomer OMG Life [*sigh* Ed.] 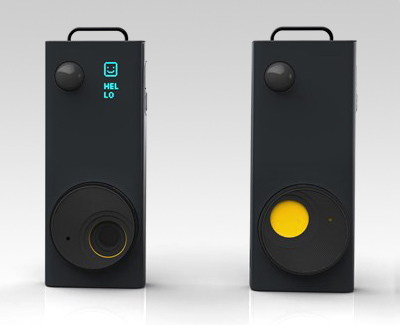 has created Autographer, an 'intelligent' wearable camera that uses an array of built-in sensors to take pictures automatically triggered by changes in its environment. It uses a semi-fisheye lens with a 136° angle of view in front of a 5MP backlit-CMOS sensor, and the shutter is triggered at key moments based on input from GPS, acceleration, direction, temperature, proximity and light sensors. 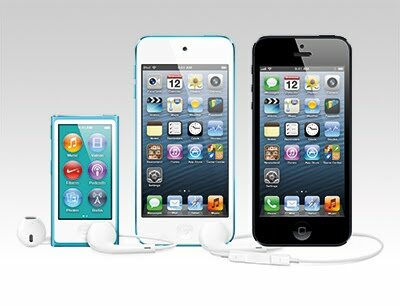 Images are stored in internal memory, and can be transferred to a smartphone using Bluetooth for viewing; alternatively they can be compiled into movies using the supplied software. It'll go on sale in November from the company's website for £399. The quoted zero to 60 mph time of 4.4 seconds is almost irrelevant. It’s the point-and-squirt acceleration at nearly any speed that shocks and delights while devouring the road ahead. Nail the throttle at 40 mph and you’re up to 60, then 70 then 90 in less time than it takes to read this sentence. I don’t care how fast you read. That level of performance wouldn’t be uncharacteristic for something twice as costly, with half as many doors and weighing far less than the Telsa’s claimed curb weight of over 4,600 pounds. It is — for all intents and purposes — pure energy being laid to the ground with a rapidity that’s more roller-coaster freefall than four-wheeled family transport. And it’s more exhilarating than anything I’ve driven out of Sant’Agata, Stuttgart or even Maranello. More impressive than the sheer speed of a sedan this size is its level of grip and handling. This is largely attributable to the fact that the massive, four-inch-tall, 85-kWh battery pack is housed mere inches from the ground — it makes the Tesla not just a competent handler, but an architectural marvel that’s sure to cause furrowed brows and OCD-level head-scratching among German engineers. If you’re looking for on-road presence, the Model S has it in spades, particularly here in the Bay Area, where a Tesla draws a crowd like someone waving an iPhone 5 outside an Apple Store on launch day. The exterior is elegant, demure and aggressive all at once. The interior is more of a mixed bag. The cockpit is spartan, but fitting of the Tesla ethos, with supple, supportive seats, ample legroom fore and aft, and two trunks (over 30 cubic feet in total). Can the Model S hit its EPA-certified 265-mile range? Based on my time behind the wheel, there’s no doubt. But if you want to satiate that atavistic thirst for pavement-pummeling torque on a regular basis, be prepared to top off the cells with frequency. Tesla hasn’t just created a fully functional EV. 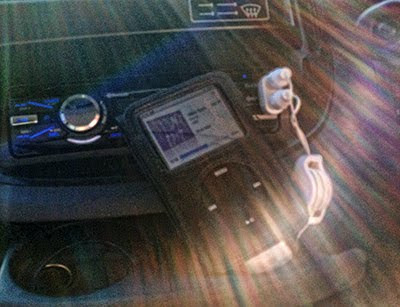 It’s made a vehicle that’s both incredibly engaging and fully practical. 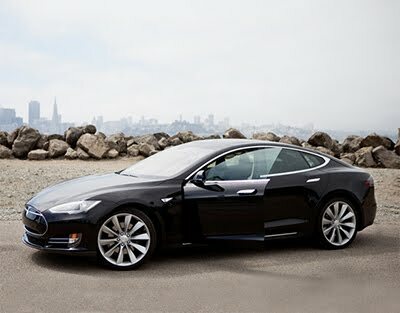 As with any car, compromises were made, but as a whole, the Model S feels and drives like the future. It’s a rolling testament to the potential of automotive innovation, and a massive leap forward for an industry struggling to stake a claim in the 21st century. Ever wonder what images of Abraham Lincoln would look like in color? What about iconic captures like The Burning Monk or the VJ Day, The Kiss? 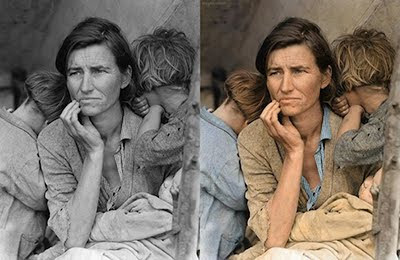 Swedish artist Sanna Dullaway has put her creativity to the test to restore and re-colorize iconic black and white images of the past. What are your thoughts on bringing colour to these historic black and white images? Does it give life to the scenarios and people within them or take away from their nostalgic quality? 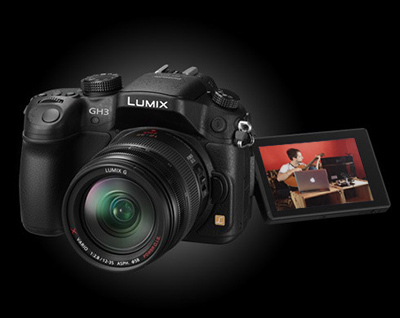 The GH3 is the company's largest Micro Four Thirds camera yet, with dimensions that match those of the APS-C Sony SLT-A65. It gains a weather sealed (dust/splash proof) magnesium alloy body. Additional highlights include 6 fps shooting (or 4fps with live view) and five customizable function buttons. While the camera's still image resolution remains at 16MP, the GH3 has a new Live MOS sensor, three-core Venus 7 FHD processing engine and a new low pass filter. Panasonic claims improvements in high ISO shadow detail, color reproduction and white balance over its predecessor. The GH3 also offers in-camera HDR and multiple exposure image modes, as well as Wi-Fi connectivity that Panasonic hopes to leverage with its own (as yet unreleased) remote triggering and image transfer apps for iOS and Android phones. The rear display panel is a 3" 614k dot resolution OLED unit that, like that of its predecessor, is touch-sensitive. For both stills and video shooters looking to extend the camera's abilities, the GH3 offers a 3.5mm mic input (GH2 users had to resort to a 2.5 - 3.5mm adapter), headphone jack, PC sync socket and a new optional battery grip that attaches to base plate providing the option for additional power. 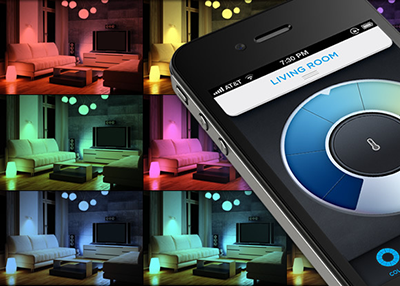 The LIFX is a $69 lightbulb controlled via smartphone. You can change the brightness and colour of the bulb from your phone. You can also set it to go on and off at a certain time and come on when you get home. Because it’s a self-contained unit you don’t need to change your wiring. Just twist it in and fire up the app. For a good summary of the first reviews, visit MacRumors. If you're interested in the look, feel and design philosophy behind the iPhone, give John Gruber's opinion piece a read. GM’s Cadillac division expects to produce partially autonomous cars at a large scale by 2015, and the automaker also predicts it will have fully autonomous cars available by the end of the decade. Audi and BMW have also shown self-driving car concepts, with the former working with Stanford to pilot a modified TT up Pikes Peak. Meanwhile, Google is ripping along at its own rapid pace with a fleet of fully autonomous Toyota Prius hybrids that have logged over 300,000 miles. 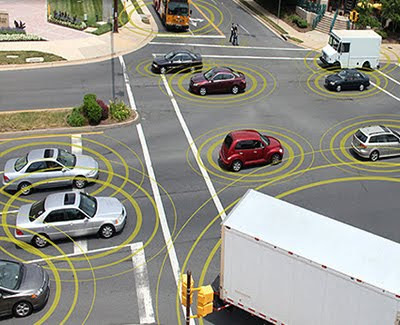 The Institute of Electrical and Electronics Engineers (IEEE) recently released predictions that autonomous cars will account for up to 75 percent of vehicles on the road by the year 2040. The organisation went even further, forecasting how infrastructure, society and attitudes could change when self-driving cars become the norm around the middle of the century. The enthusiast compact sector has undergone a distinct revival in recent years, with every major manufacturer now producing a model or two that offers full manual control and RAW format recording, aimed as a second camera for enthusiasts who usually carry an SLR. The XF1 is the latest model in Fujifilm's premium X-series, that originated with the FinePix X100 and has since expanded upwards to the interchangeable lens XF system (including the recently-announced X-E1), and downwards to the X-S1 superzoom and fast-lensed X10 compact. The XF1 shares much of its innards with these last two models, including the larger-than-average 2/3" EXR-CMOS sensor and EXR processor. To these it adds an optically-stabilized 25-100mm equivalent lens with an impressively fast F1.8 maximum aperture at wideangle, but a more pedestrian F4.9 at telephoto. The Canon S100 and Sony RX100 are both functionally-styled black-bodied cameras for photographers who wish to stay discreet; the XF1, in contrast, is designed to be noticed. 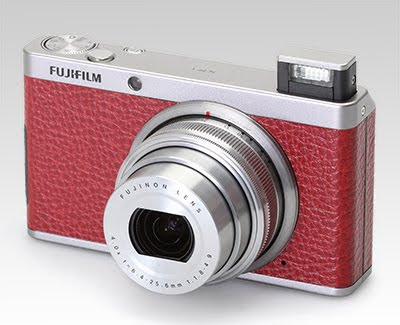 With its two-tone body it's a very attractive camera. There's a choice of three colours - the deep red shown, alongside light tan and a relatively-sober black - each of which gets a matching slide-in leather case as an optional accessory for fashionistas. The second stand-out feature of the XF1 is its lens mechanism - the zoom ring is mechanical, and like on the X10 doubles as the power switch. But there's a a further twist - it also collapses into the body in a fashion somewhat reminiscent of the iconic Rollei 35 film compact. This gives the XF1 the distinction of being the smallest camera to offer a mechanical zoom ring around the lens. The Alfa weighs 20lbs, yet supports riders up to 24 times its weight. 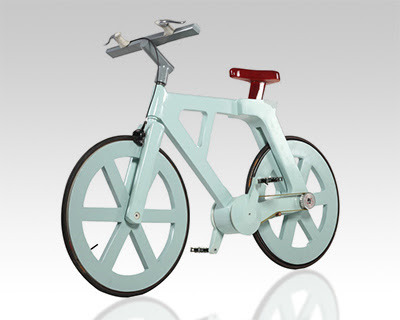 It’s mostly cardboard and 100% recycled materials, yet uses a belt-driven pedal system that makes it maintenance free. And, maybe best of all, it’s project designed to be manufactured at about $9 to $12 per unit (and just $5 for a kids version. The development to what you see today took three years. Two were spent just figuring out the cardboard complications - leading to several patents - and the last was spent converting a cardboard box on wheels to a relatively normal looking bike. 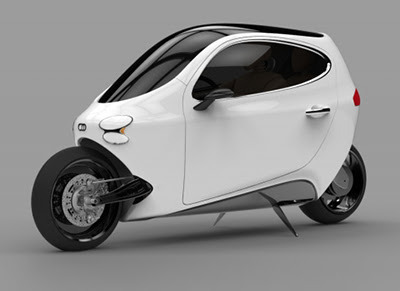 Imagine a vehicle that’s smaller than a Smart Car, nearly a third of the price of a Nissan Leaf, safer than a motorcycle with a range capacity that just lets you drive and won’t ever tip over? What you get is Lit Motors’ C-1, the world’s first gyroscopically stabilized, two-wheeled all-electric vehicle, which launched at TechCrunch Disrupt in San Francisco. Oh, and it will talk to your smartphone and the Cloud. It is expected to top out at over 100 MPH and has an estimated range of up to 200 miles per charge and will go from 0-60 in roughly six seconds. To ramp up production, the US opened its first NCC factory in Madison, Wisconsin, on 26 July, marking the rise of what the US National Science Foundation predicts will become a $600 billion industry by 2020. So why all the fuss? Well, not only is NCC transparent but it is made from a tightly packed array of needle-like crystals which have a strength-to-weight ratio that is eight times better than stainless steel. Even better, it's incredibly cheap. "It is the natural, renewable version of a carbon nanotube at a fraction of the price," says Jeff Youngblood of Purdue University's NanoForestry Institute in West Lafayette, Indiana. Leveraging the high number of specialized heat-transfer veins in the palm of the human hand, researchers at Stanford have developed a thermal exchange glove that is able to cool a person's core temperature in a matter of minutes. Turns out this is helpful for athletes. 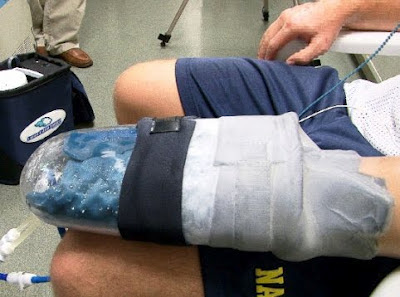 The glove's effects on athletic performance didn't become apparent until the researchers began using the glove to cool a member of the lab between sets of pull-ups. The glove seemed to nearly erase his muscle fatigue; after multiple rounds, cooling allowed him to do just as many pull-ups as he did the first time around. So the researchers started cooling him after every other set of pull-ups. The researchers applied the cooling method to other types of exercise - bench press, running, cycling. 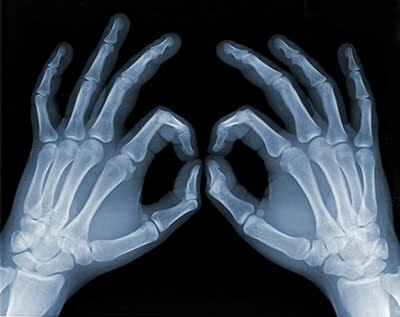 In every case, rates of gain in recovery were dramatic, without any evidence of the body being damaged by overwork. Wired has published an article looking at a new fast food venture co-founded by Mike Roberts, McDonald's former president and chief operating officer. "At Lyfe Kitchen (the name is an acronym for Love Your Food Everyday), all the cookies shall be dairy-free, all the beef from grass-fed, humanely raised cows. 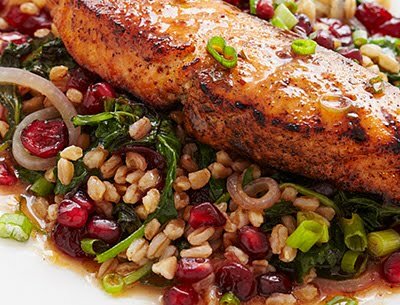 At Lyfe Kitchen there shall be no butter, no cream, no white sugar, no white flour, no high-fructose corn syrup, no GMOs, no trans fats, no additives, and no need for alarm: There will still be plenty of burgers, not to mention manifold kegs of organic beer and carafes of biodynamic wine." "Lyfe’s ambition is to open hundreds of restaurants around the US, in the span of just five years." "The former Golden Archers hope to transform the way the world produces organic ingredients, doing for responsibly grown meat and veggies what McDonald’s did for factory-farmed beef." "Yesterday’s supply-chain infrastructure, the one that Roberts and his colleagues helped to perfect, was based on boxed patties and buns that had been treated with preservatives and designer enzymes. But new flash-freezing and high-pressure-pasteurization methods have enabled retailers like Lyfe to deliver dishes free of magnesium lactate, triammonium citrate, and other preservatives." 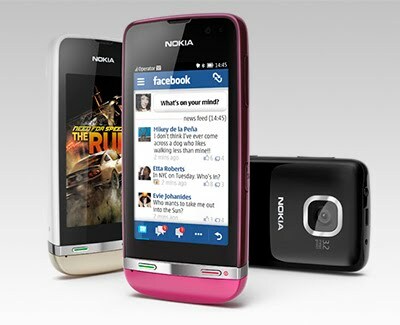 Register Hardware has published a review of Nokia's £100 smartphone. "For your £100 you get a handset with a 3in 240 x 400 capacitive touchscreen, quad-band HSDPA, 802.11n Wi-Fi, a 1GHz CPU and a 1,110mAh battery. You also get one that’s impressively small (106x52x13mm), light (95g) and well made." "At the top it sports a 3.5mm audio socket along with microUSB and 2mm power connectors – you can charge through either. Over on the right are the volume and on/off buttons. Below the screen sit solid physical call answer/end buttons while the Sim and microSD cards are buried under the battery." "The 3in 155dpi screen is clearly no match for the new 720p Android or Apple retina displays but it’s a higher density figure than the iPad2 or any current 1280 x 800 10in Android tablet. It proved crisp, bright and colourful." 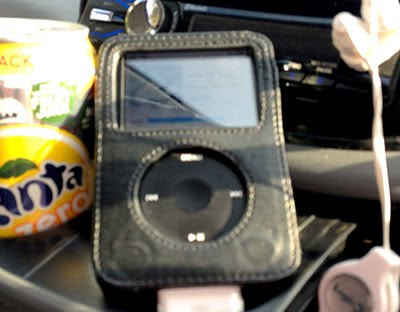 "With its Gorilla Glass screen and an interface that’s been thoughtfully redesigned to mimic Symbian Belle – is a very smooth and pleasant handset to use. 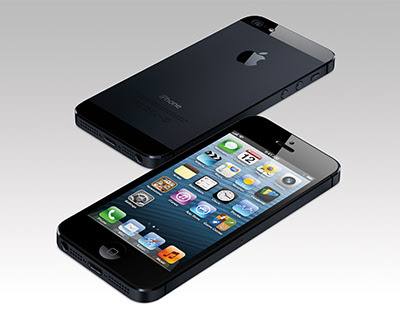 The UI reaction speed and fluidity of the kinetic scrolling is up with all but the very best handsets." "With 40 free EA games to download, Angry Birds preloaded and basic little video and music players plus a microSD card slot (a 2GB card is included in the retail package), the 311 makes a good little media player." "The 311’s killer feature is its battery life. The maximum 3G talk time of 6hrs may not be that special, but 744hrs on 3G standby and 40hrs of music playback is impressive. 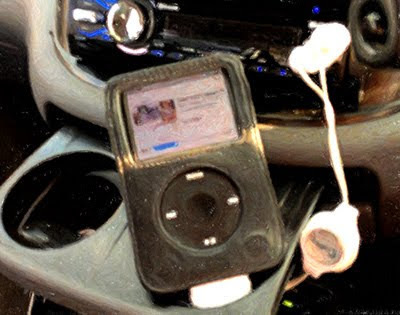 In everyday use, you can expect to get around four days from a charge." The data are preliminary, but "these sensory changes suggest that the cells may be positively impacting recovery", says Curt, who presented the results today in London at the annual meeting of the International Spinal Cord Society. 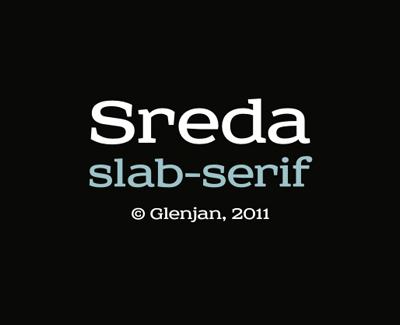 Serbian foundry Tour de Force has released a tidy, semi-flared serif by Slobodan Jelesijević. 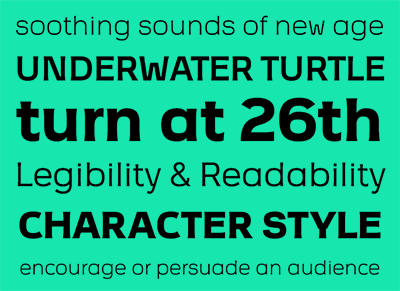 The four weight Vezus features sharp, angular joinery and a number of interlocking discretionary ligatures. Feel like giving it a test drive? You can download the light weight for free.